The Thor British Youth National Championship season finale at Pontrilas, Hereford certainly did not disappoint as Wal Beaney, Vinnie Guthrie, Dominic Lancett, Rossi Beard and Howard Wainwright were crowned 2017 champions after an outstanding weekend of racing on September 2 and 3. It’s been an incredible season for Beaney in the 65cc class, and the young-gun concluded a year in which he has climbed onto the top step of the podium at every round with another victory. 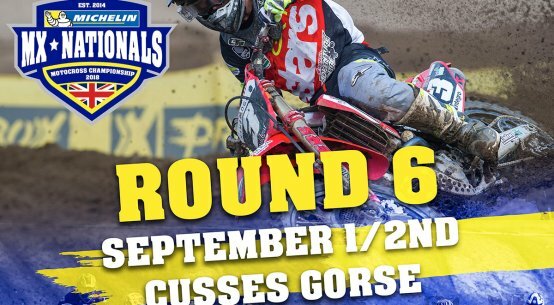 Beaney, who won a total of 20 motos during the six-round series, battled hard with Ollie Colmer, who took the remainder of the wins this season, and Finley Evans who concluded the weekend in second and third place, which were also their final championship positions. In the Small Wheel 85ccclass it was Vinnie Guthrie and Raife Broadley battling for the series win going into the Pontrilas round of the series. 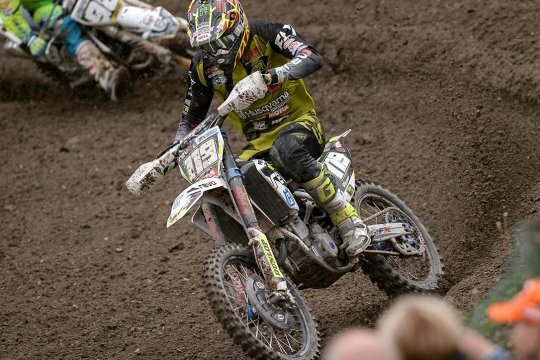 Charlie Heyman, who has enjoyed some excellent performances this year, ended his season on a high as he took the overall for the weekend with four of the five moto victories. 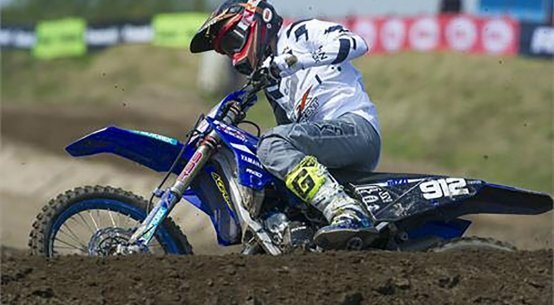 Broadley took second overall, but Guthrie did enough to take the ACU British Youth National 85cc Small Wheel title win with third overall on the weekend. Broadley was second in the championship and Bailey Johnston was third. Notable performances during the season were also from Alfie Jones, who enjoyed a number of moto wins this season although he missed the final round with injury, along with Heyman’s flashes of moto brilliance. In the Big Wheel 85cc class it was a weekend of tight battles between championship leader Dominic Lancett, Bobby Bruce and Kyle McNicol. Sunday brought some tough conditions for all riders following overnight rain, however everyone battled through to complete the full schedule. It was spectacle of close racing throughout the event between Bruce, Lancett and McNicol, and Bruce concluded the weekend with his first Big Wheel overall and second in the championship. Dominic Lancett finished with second overall, and with it he was crowned the 2017 ACU British Youth Nationals Big Wheel Champion, with Kyle McNicol finishing with third for round six and third in the end of year standings. In the 125cc class there it was another weekend of bar banging battles throughout the motos, although Rossi Beard, who has been truly superb this season with 19 moto wins, came into the final round with an impressive 152 point lead and was confirmed the 2017 British 125cc Champion after Saturday’s proceedings, although he sat out of the final moto of the weekend due to injury. The battles were on with Sam Nunn, Max Ingham, and Ryan Allison who rounded out the top three for the final round. The championship second and third spots went to Drew Anderson and Ryan Allison. In the Open class it was a close one between the top three of Tom Grimshaw, Jed Etchells and Howard Wainwright, who enjoyed some great racing throughout all of the five motos. With less than 20 points between Wainwright and Grimshaw coming into the final round for the championship title, it was always going to be a tense yet incredible weekend to see who would reign supreme. The Pontrilas podium went to Grimshaw, Wainwright and Etchells, although not without drama in the final moto as Wainwright was forced to retire with a tyre issue mid-race. The youngster still had had an ultra-tight four-point advantage in the standings to claim the ACU British Youth National Open title, as Grimshaw finished his final year in the Thor British Youth National series in a very credible second and Etchells took third in the series. 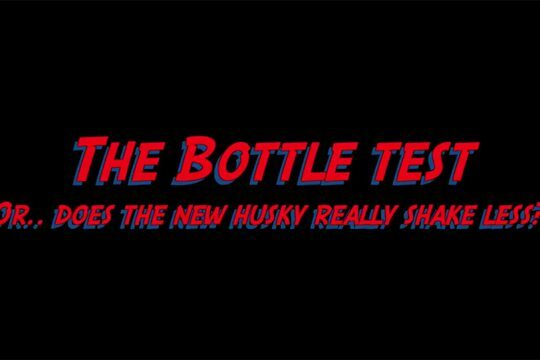 Cool video of Husky’s injected two-strokes! 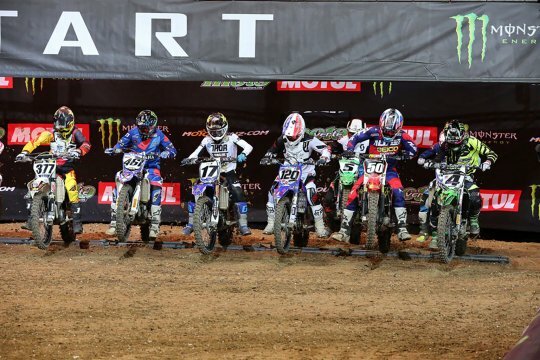 Can Febvre beat Barcia in Lille? Does Husky’s new stroker really vibe less?